The process will include extracting the most important lessons from previous development and implementations of nature-based solutions in European cities as reflected in urban research, previous European projects, existing European databases on green solutions, as well as the experience of nature-based solution exemplars in the front-runner cities. The objective to build a coherent reference framework that meaningfully connects different types of data and information for the evaluation of the five areas of performance of nature-based solutions as well as to identify new synergistic data-gathering techniques that make use of the latest available technologies, allow representation of traditionally under-represented groups in urban policy-making, and are cost-effective. This process will be designed with front-runner cities and applied to the measuring of progress towards objectives at different stages in the deployment of nature-based solutions. This work package will also see the creation of a Geospatial Information and Communication Technology platform for gathering feedback from the webinars in other work packages, map current and future knowledge, gather knowledge from the communities-of-interest in all cities, and measure impact. Work Package 2 will develop an urban planning process that will ‘burst open’ silos, enrich and nurture social, business and governance innovations and focus on the scaling-up of nature-based solutions in cities. Instead of starting with identification of a problem or challenge, the new urban planning cycle will start with the identification of opportunity spaces by matching policy and market needs and proceed with formulating guidelines for innovative ways of stakeholder engagement and citizen stewardship of embedded nature-based solutions, identifying funding and financial models for the successful implementation of nature-based solutions and ultimately deploy market and knowledge valorisation of nature-based solutions. With these foundational overarching planning steps, this work package will employ the creativity, forward-looking attitude and pragmatism of the front-runner cities to create a new urban planning process: Accelerator Masterplanning. The accelerator masterplanning process will also include mechanisms for relating to funding resources as well as ways to reflexively monitor on-going scaling processes while remaining open to new market opportunities and financial models. Work Package 3 will showcase, and share learning from, the scaling-up, replication and integration of nature-based solutions for city-making within front-runner cities. Existing expertise within front-runner cities will be characterised and enriched through the synthesis of the evaluation mechanisms, accelerator plans and financial innovation models developed in work packages 1 and 2. Using this consolidated expertise, front-runner cities will develop and implement city-wide masterplans for nature-based solutions driven by a curatorial planning approach. This will include the documentation and communication of adaptive governance processes through learning-by-doing experiences that will be fed back iteratively to work packages 1 and 2, through direct mentoring to fast-follower cities in work package 4, and to global market places through work packages 5 and 6. Each front-runner city has already begun to up-scale and replicate nature-based solutions and each has developed expertise in relation to their own local context. This work package will further develop this expertise to ensure that evaluation processes, implementation strategies and funding pathways are in place to unlock the nature-based solution masterplan exemplars and transfer this experience and expertise to other cities. A key focus of this will comprise in maximising the approach of multi-functionality in nature-based solution planning. As such, the front-runner cities will scale-up and deliver on key environmental and socio-economic objectives as listed in WP 1. 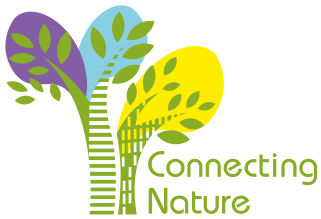 To feed back experiences and knowledge gained into the reference framework for nature-based solutions. Whilst the activities in the multiplier cities shall be co-financed through Connecting Nature, the consortium has supported regional research partners and multiplier cities to apply for co-financing from complementary funding programmes in China, South Korea, and Brazil. At the outset of this work package, EU and non-EU-partners will begin to work on establishing the regional partnerships outside of Europe, apply for support funding through the collaborative mechanisms of that region with Horizon 2020, and thus begin to grow the idea of the implementation of nature-based solutions. To further develop the Oppla platform with more urban products and resources. Strategic, operational and risk management. Work Package 8 sets out the ethics requirements that Connecting Nature must comply with.